Accessibility Gets AccessibleSocial justice, and a new Australian benchmark for accessibility! 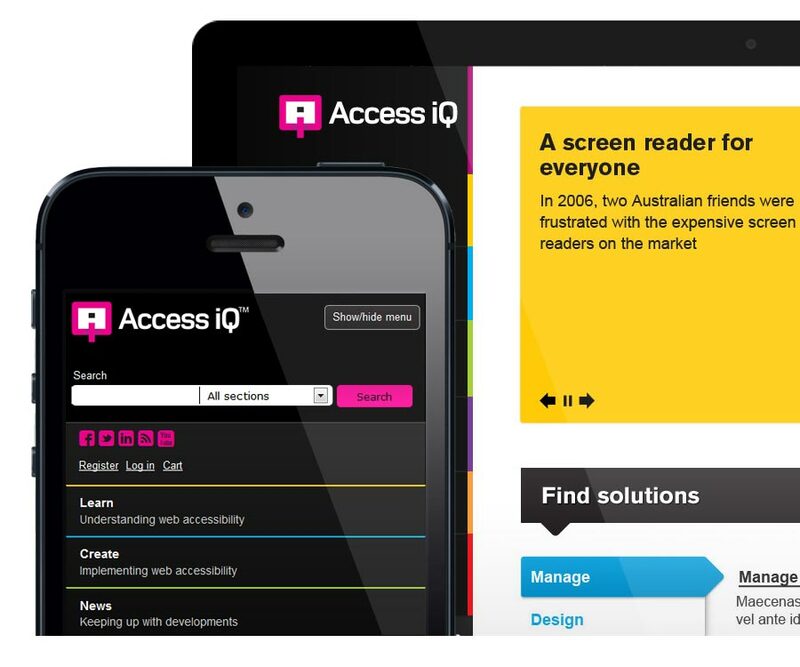 In order to position Access iQ™ as a key resource for online accessibility know how, we built a WCAG 2.0 AA compliant site from the ground up that does not compromise design for accessibility compliance, and manages to do this while working across mobiles, tablets and desktops! 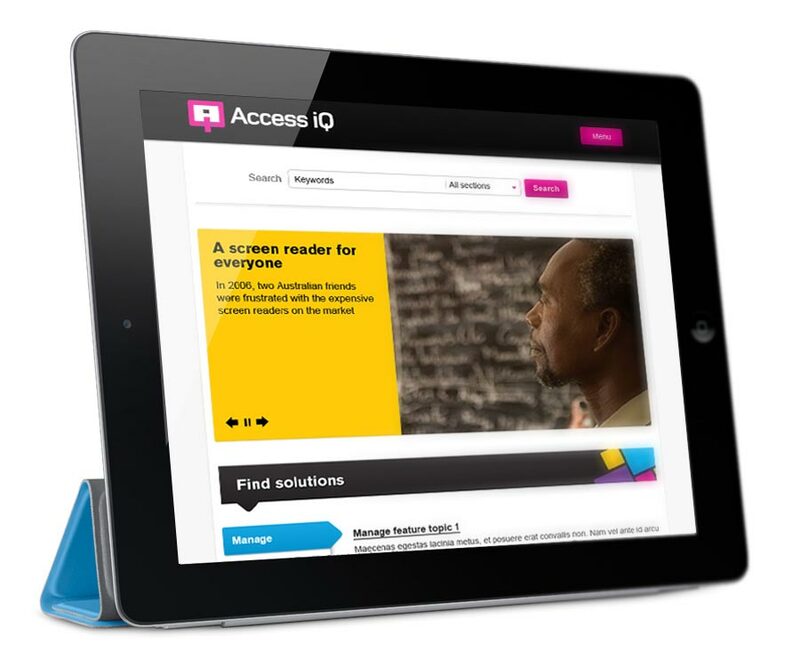 Access iQ™ is an initiative of Media Access Australia, Australia's only independent not-for-profit organisation devoted to increasing access to media and technology for people with disabilities. 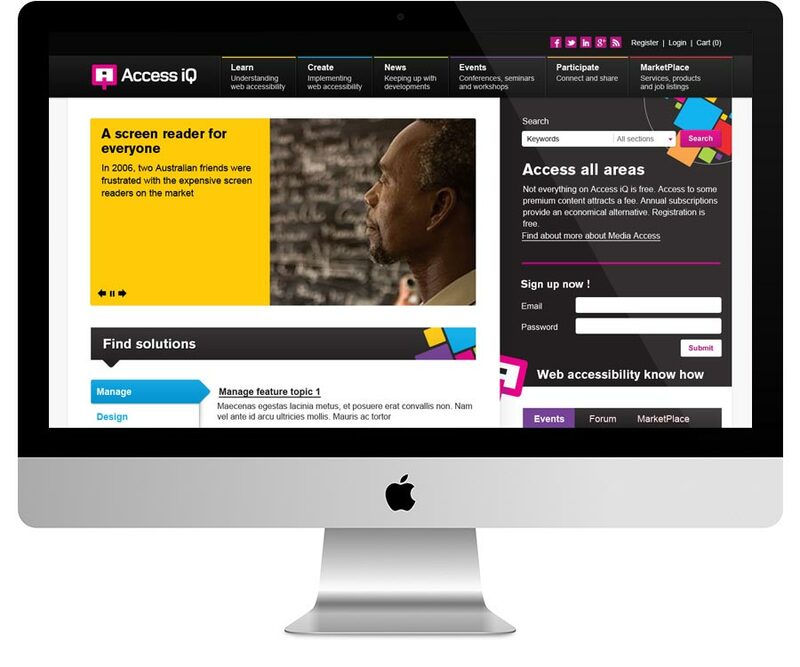 Their vision for Access iQ™ is "a web without limits" and demonstrate that web accessibility is the hallmark of an inclusive, usable and future-proof website. The site underwent accessibility testing throughout the design and development phases. Designs were reviewed for accessibility, the development team were educated on accessibility principles and the result is a website that is cool, adaptive & responsive whilst being accessible. The website also underwent accessibility user testing – user testing with people who have disabilities to ensure that accessibility also delivers maximum usability. The site features an editor-publisher content management workflow. The site also features eCommerce with a checkout workflow process that's tightly integrated onto the content manage system.